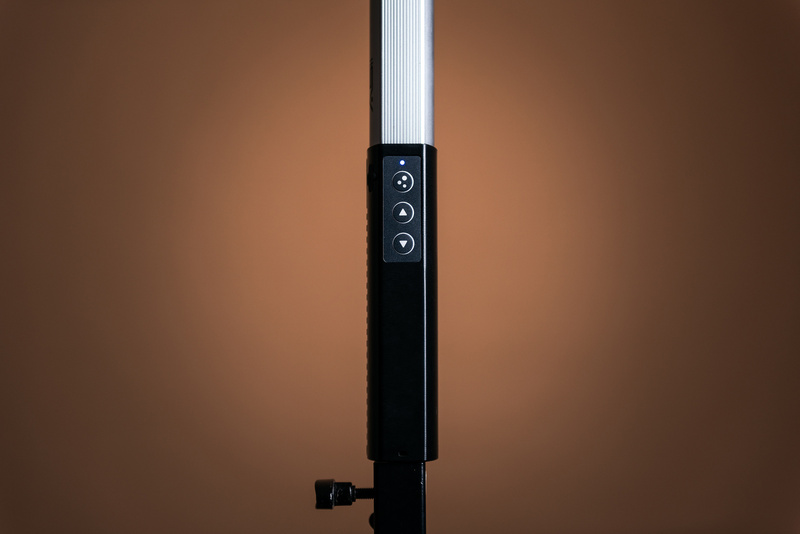 The Smith-Victor Edge Light Portable LED Light Stick. Unboxing the Edge Light revealed a soft carrying case for the light, along with a couple of accessories, such as a USB charging cable and a remote control which is rather helpful — we’ll talk more about that later. While I wasn’t overwhelmed by the build quality, the unit is very lightweight (just 13.3 ounces) and the controls are very minimalistic, just the way I like them to be. Lanyard, USB charging cable, and remote control for the Smith-Victor Edge Light. For those of you more interested in the technical speciations of the Edge Light than my opinion, you should note that the 21.7-inch Edge Light boasts 120 LEDs that are capable of producing 1,000 lumens with a CRI of 95. 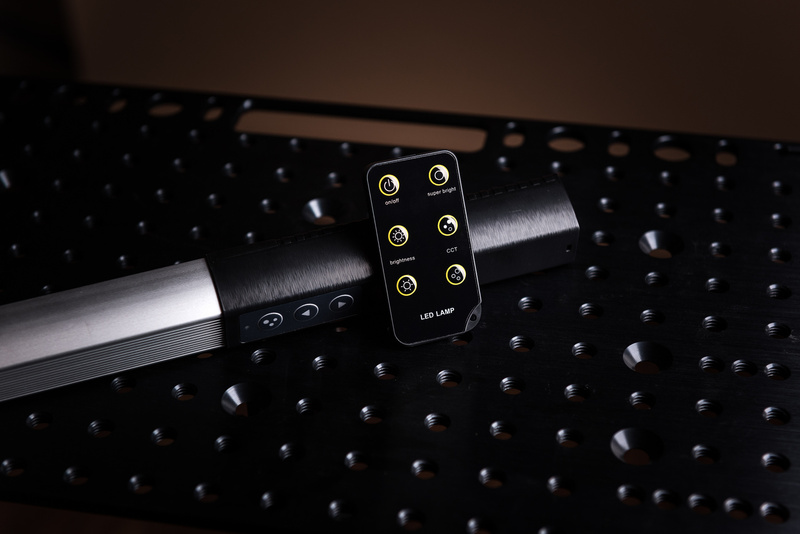 Users have the ability to adjust the light’s intensity with six brightness levels that are selected via the controls on the light’s handle or with the included remote control. Color temperature is also adjustable this way between 3000K and 5700K. Both color temperature and the light's intensity are controlled via the buttons located on the light's handle. While for the most part, I’ve used the Edge Light handheld. I like the fact that I can easily mount the light to a tripod or light stand using the 1/4”-20 mount on the bottom of the light. This allows the light to be mounted nearly anywhere. 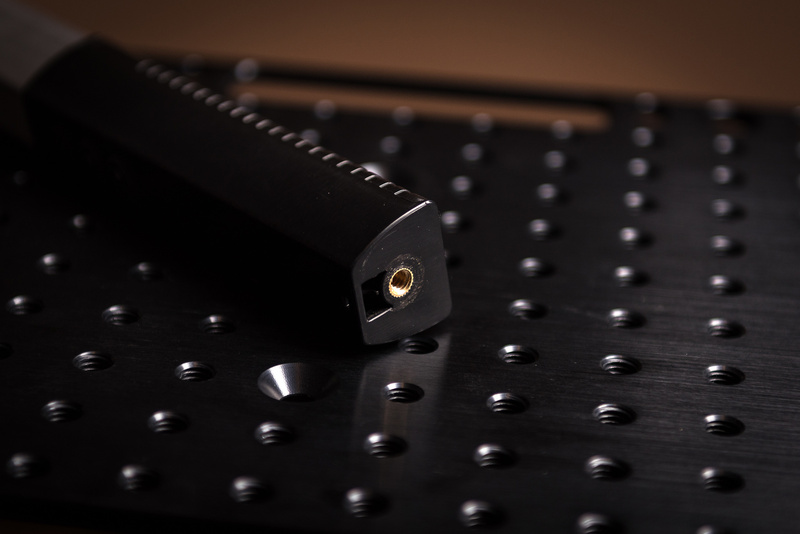 Mounting the Edge Light to your preferred stand or tripod is easy. Perhaps it’s a sign of aging, but I don’t desire to walk back and forth to make simple adjustments to anything anymore. This is why I can appreciate a remote control. The Edge Light's remote control is simple and handy. I don’t think I could ever live without my strobes and various light modifiers, however there are certain situations that simply don’t require a strobe with a massive modifier or complicated setup. 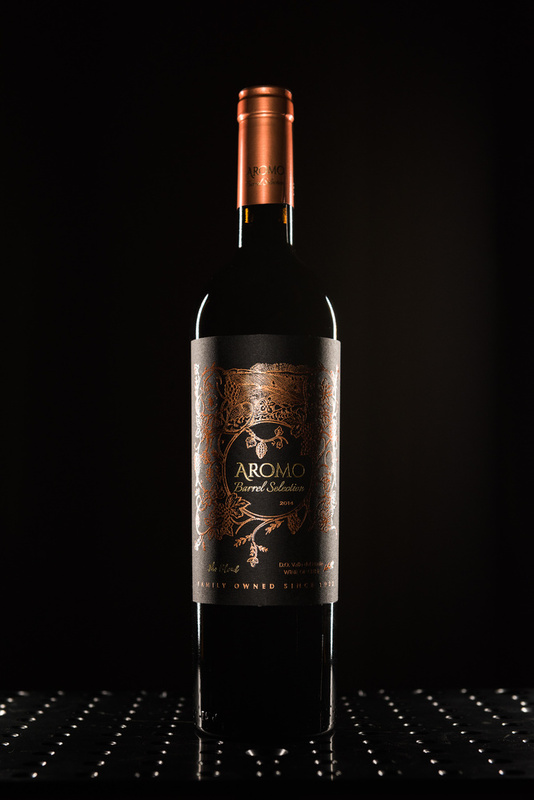 The ability to grab the Edge Light to help properly expose something like a bottle’s label or to create a little extra fill light where needed is convenient. I’ve also enjoyed how easy it is controlling the intensity and color temperature of the light created by the Edge Light. I've included a couple of test shots below, and one of which is a composite quickly put together using three image lit solely by the Edge Light. A rough composite image displaying how a single light source can be used to light an entire object. 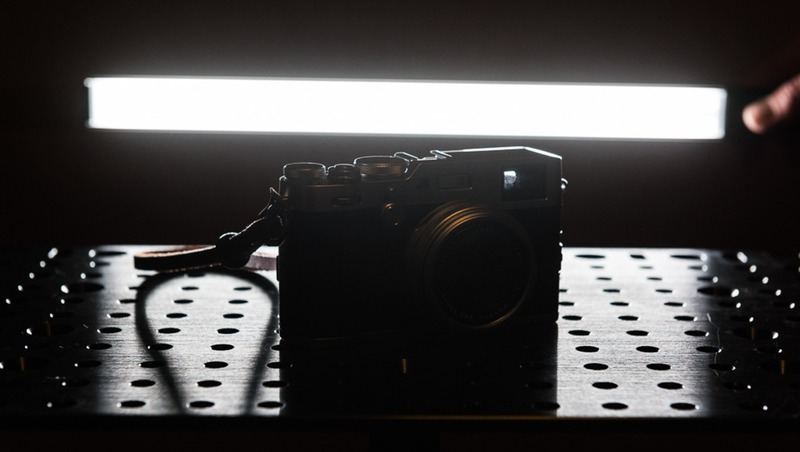 Photo of a Fujifilm X100F lit using only the Edge Light. While it’s nice to have the ability to adjust the light’s temperature by simply pressing a button, a little more control would be welcome. Color temperature is adjustable with the Edge Light, however the adjustability is limited to either 5700K daylight or 3000K, and nowhere in between. It isn’t that light feels or appears to be poorly made, it isn’t, but the light weight and overall feel of the materials leaves me a bit cautious and afraid to bump it too hard or drop it. The Edge Light retails currently for $89.99. While the price seems to fall in line with other lights that boast similar features, something about spending nearly $100 on a 13.3 ounce light that I’ll only use occasionally doesn’t sit right with me. I’m not yet convinced that a light stick is any more versatile than a speedlight, which with the exception of being a constant light source, can do anything the Edge Light can do. Do you need the Edge Light? Probably not. 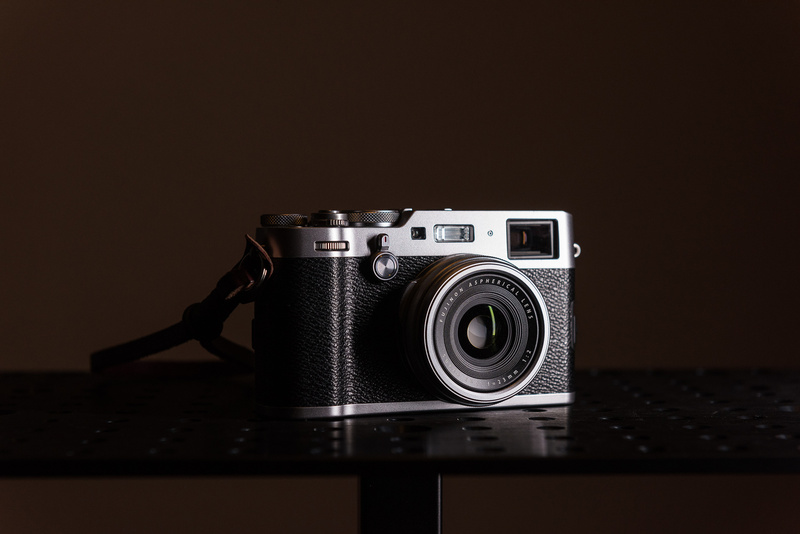 Is the Edge Light a handy tool to have at your disposal? Yes, it is. While there are various LED light options on the market, different photographers will naturally come to prefer certain options over others. 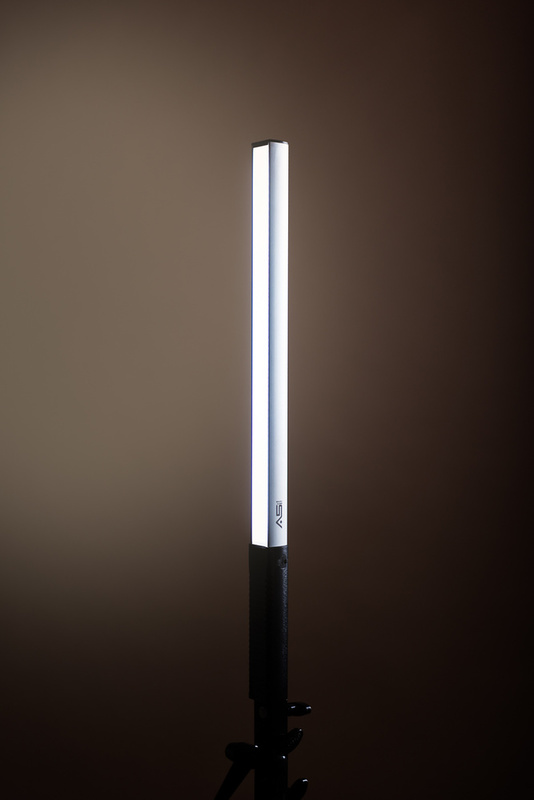 In the event a light stick is something you're in need of, the Smith-Victor Edge Light is worth consideration. First of all was surprised to see the Smith-Victor name on a product. They were famous for low priced lighting gear of marginal quality. But a bicolor LED and a remote for less than $100 sounds pretty good! When you say a speed light can do anything that a light stick can do I wonder what you mean. 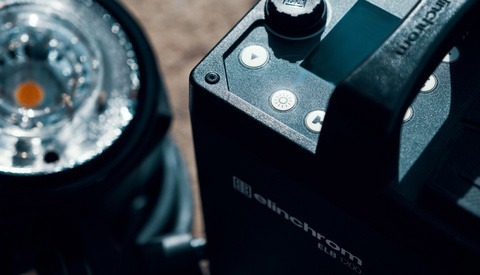 Do you mean a speedlight like a canon, nikon or godox on camera flash? With or without modifiers? 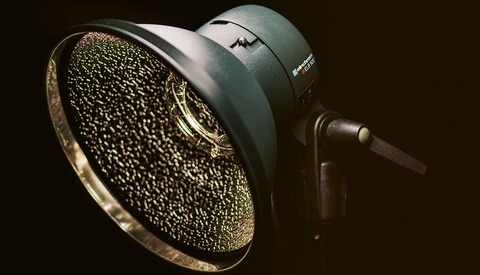 Or a studio type strobe? For example the picture of the camera can be lit nicely with a wand in about 40 seconds. A "speedlight" will not give that quality of light without modifiers...1 20x2 inch lightsource is a vastly different lightsource than a 3x1.5 inch speedlight. 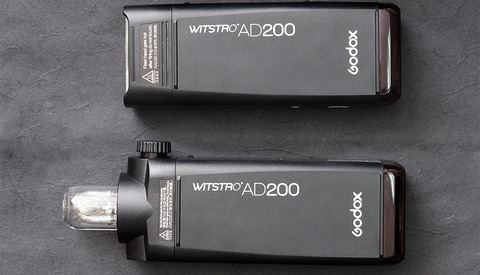 I have had a medium priced Ice-Light knock off for a few years that comes in handy once in a while for light painting, product shots, and close up portraits. I thought the target use case for this type of light is light painting. Did you give that a try? I haven't played with long exposure photography or light painting using this light yet. I've been incorporating it into my regular workflow, using it more as a traditional constant light source when needed. I have 4 Lume Cubes for projects that need that sort of lighting. I can easily see adding up to four of these SV sticks to expand my LED kit. Great stuff for when my Elinchroms' are overkill. It's been specifically handy for lighting labels for product photography - something I've been quite busy with lately.